There's no campout quite like a Chick-fil-A campout. Imagine you just moved into a new neighborhood. You’re excited, a little nervous, and you can’t wait to meet the neighbors. 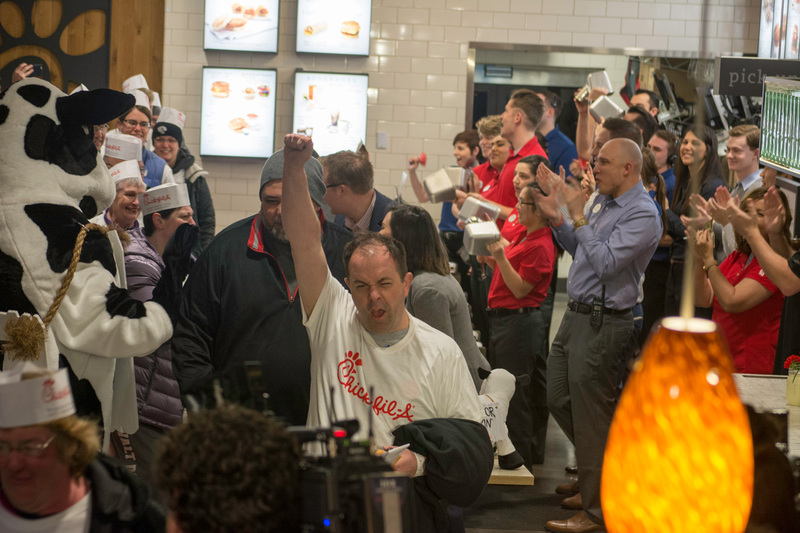 That’s exactly how Chick-fil-A franchise owners feel as they anticipate the grand opening of their new restaurants. So how do you meet everyone? Invite them over for the ultimate housewarming party. 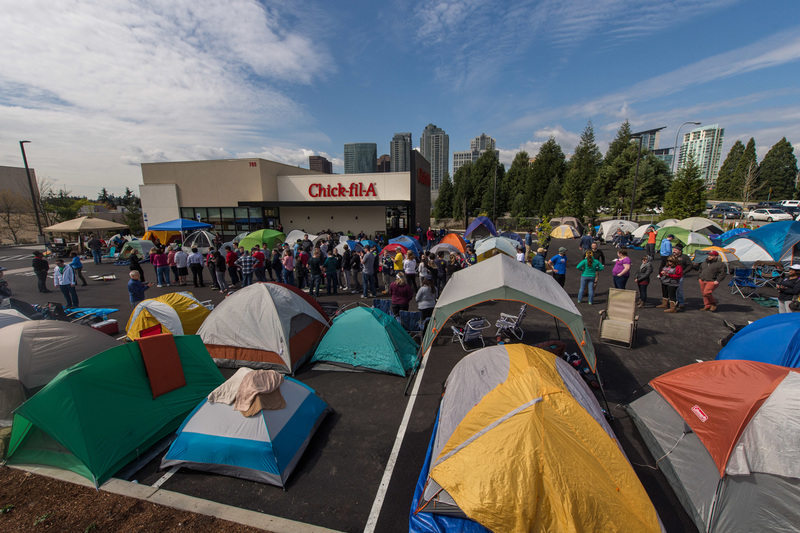 Nearly 100 new Chick-fil-A restaurants open each year, and since 2003, customers across the country have been celebrating many of our openings with a First 100® Campout. This is an overnight event in the restaurant parking lot that rewards the first 100 customers with a prize worth waiting for – free Chick-fil-A for a year. The First 100® Campout is a memorable experience, albeit one that is hard to explain to first-timers with words alone. For the newbies, here’s a look at some of the things you may see when a new Chick-fil-A restaurant opens in your community. First-world provisions. After all, you are staying in a parking lot for 24 hours. Games and dance parties? Totally normal. You may even see scholars, artists and sculptors in action. Let's not forget the Icedream sundae party. And beautiful sunrises, made to order. Finally, after 24 hours, the ultimate reward: free Chick-fil-A for a year. Ready to participate in a First 100® campout? Take a look at our future restaurant openings, official details, and contest rules.